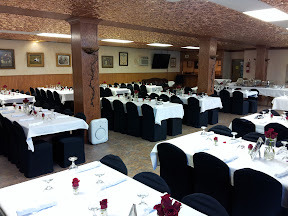 We have a venue that is perfect for your private party, meeting, corporate event, or educational training. Call us for special pricing based on the type of event and number of areas that you are using. 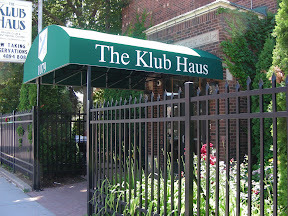 We know you have a budget and The Klub Haus is the best choice while still being able to have a beautiful complete venue. We are one of the very few venues available that allows outside catering. We have most of the extras (dishware, silverware, glassware, tables, chairs, and linens) with no additional rental or tax charge. Our facility consists of a full catering kitchen with full beverage and liquor service with two full bars and a soft lounge. Our private club liquor license requires us to provide all beverages. You can run your bar anyway you desire. There are no minimums and our club prices are very reasonable. Our dining hall will seat up to 200+. We have custom hand built beautiful oak tables, a solid copper ceiling, video capability, additional lounge seating, and decorated beautifully, including original art. Our spacious activity center/ballroom upstairs has a bird's-eye maple hardwood floor, with custom adjustable lighting, an audio system with mixer, a full bar, and can accommodate all your guests. It has a full raised stage with theater lighting, a beautiful velvet stage curtain, a fully plumbed side dressing room, and a separate coat room. It is perfect for seminars, music or performances. It is a wonderful spot to have your event from summer through fall. We offer many additional needs as required, along with recommendations for proven vendors. Our 'private club' is only open during events, but you can tour the facility at your convenience by calling ahead. I would like to speak to you personally and request that you call me directly to answer any additional questions.